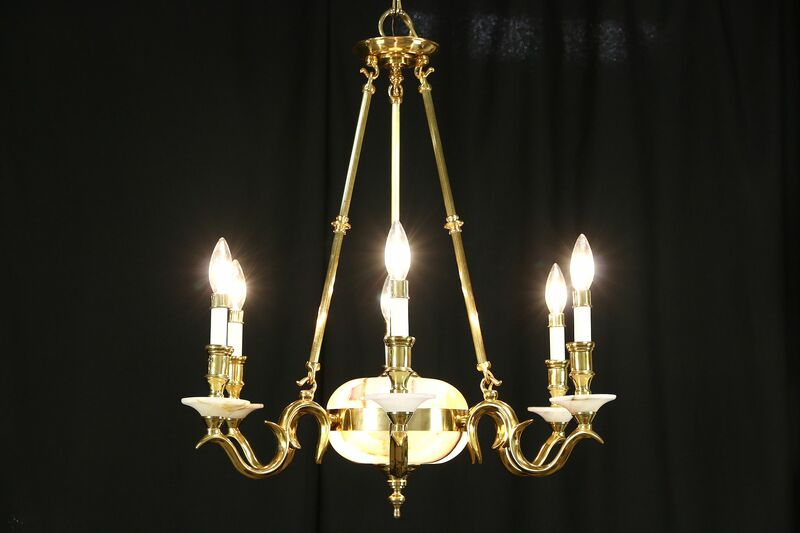 Genuine semi-precious onyx and solid brass, this six candle chandelier is about 20 years old. There are minor chips to the onyx bobeches under the candles on this elegant vintage light fixture. Size is 25" diameter and 28" tall, not including the adjustable chain and original ceiling cap.